The hunting for witches took place from the 5th century AD till the 17th century AD in Europe. Between 1500 and 1600, about 80,000 witches were accused and executed, 80% of them were women. The 17th century AD was a horrible era for women who were a bit “different” from the rest. These witches were tortured in different ways and ended up death at all times. They were stripped naked and shaved of all their body hair, then they were subjected to thumbscrews and the rack, spikes and bone-crushing “boots,” starvation and beatings. The water test was commonly used to determine if one was a witch. The accused person was thrown into the water and only the ones that were floating were stigmatised as witches and payed for the stigma with their life’s. The ones who sank were innocent, but anyways death by drawning. The witch-craze did not arise spontaneously in the peasantry. It was the ruling class that feared these people and therefore terrorized them in order to keep the masses under control. At the end of the 17th century witchcraft trials begun to diminish throughout Europe. Some countries such as Holland adopted a more tolerant attitude towards witchcraft. Voltaire said: “The witches have stopped to exist when we have stopped to burn them”. Regrettable enough the damage that was done upon humanity didn’t end with a tolerant attitude and the stopping of burning people. What kind of people were these witches? Overall women who were healers, unlicensed doctors, anatomists of western history, bortionists, nurses, counsellors, pharmacists and midwives. 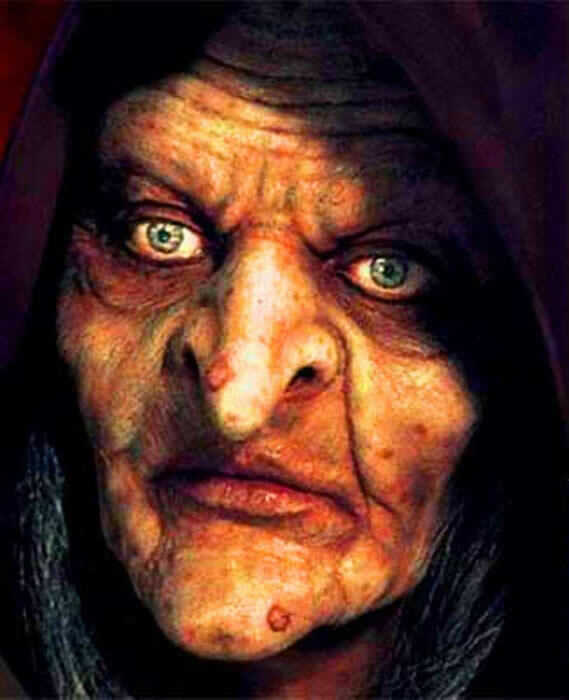 Witches were the only autonomous healers, serving the peasant population as women and the poor. The witch was a triple threat to the Church: They were generally women. They were organized within an underground of peasant women. And they were a healers whose practice was based in empirical study. For Christianity, this meant that they held out the hope of change in this world. After these centuries women were replaced/suppressed by men. We women, already accepted and allowed ourselves to be enslaved within our menstruation cycles, but with men in power enforced by the Church and State we were no longer able to be “free” and creative humans outside our own homes. Conventional medicine took over the role of healers, male professionals outran women with their superior technology. By then male “science” was more or less automatically replaced by female superstition, which from then on was called “old wives’ tales.” The strange thing is that male professionals clung unto untested doctrines and ritualistic practices, while it were the women healers who represented a more humane, empirical approach to healing. Male science and medical education was controlled by the Medieval Church, with the support of kings, princes and secular authorities. The rights and medical care for the poor and women was automatically no longer existent. Since the witch hunts, women have been associated with witches and this negative picture of witches which is all that has remained. This cruel exclusion of women out of society and out of healing professions became a theme within history. Women had been seen as evil and cooperating with the devil himself, therefore they were a threat to the Church and State who feared them. They believed that the more satanic powers women had and therefore the more power to help themselves, the less they were dependent on God, the Church and the State and the more they were potentially able to use their own powers against God’s order. This part of history won’t go by unnoticed, because the evidence of what happend is still in our DNA through epigenetics. Since we humans inherited the sins of the fathers we have a lot to sort out. Stuck in history and the ones that came before us we still live within the fears made and believed by our fathers. So I asked myself, what does this practically mean in daily life to me? How much witch is there still in me? I started investigating within myself. When I say the word witch out loud, I do not consciously feel a negative charge to this word. After researching this subject I’m really amazed how much influence this one point in history had and still has. The word witch, I associate with nature, natural cures and witchcraft as in fantasy power. When I look into history it was the beginning of fear of authority created by the Church and State, fear of free speech, keeping the sheeple under control, power struggles between man and woman and the beginning of modern medicine or shall I say quackery? To get more clarity on the subject I muscle communicated for the feeling, normally. Than I found out that this word originated between 1590-1600, the period in which the witch hunt was at it’s worst. To understand this feeling I tested for a book and came up with the following sentences: ” that to which you resist, will stay. Where you look at, will disappear. For me this sentences had to do with my struggle with authority, or fear for authority. Although after testing it had to do with fear in general/normal. So the fear I resist, will stay. The fear I I’m able to look at, will disappear. Wow, so true. I’m astonished, the in heritage of the witch hunt which is in my DNA, results in daily life for me in resisting fear. Not wanting to face all my fears. I can only do so much and take one fear at the time, but clearly there will be fears that I don’t want to face. This information challenged me and I wanted to find at least one fear that I haven’t been willing to face yet. I muscle communicated for the emotion, quieting. Which meant not obtrusive, which led me to the word protruding. Meaning the fear of protrusive behavior of others upon me. That does make sense. After testing I found out that this fear was a direct outflow of the fear for authority which is originated in the medieval period and connected to the witch hunt. Wow again. Look how fucked we are with the sins of the fathers, it’s this big spider web or matrix with interconnections everywhere. I’m overwhelmed, but than again I wanted to know this. Now I know, I know where these fears originate from and I understand how much ripples there are in the water when I throw in a stone. I start to understand what the impact of the words responsibility and consequences are, it’s huge. It’s huge yet we have to take it on in order to birth ourselves into the physical. Happy process, Sylvia. Than I asked myself how much witch there is in me. I tested for the word slime, meaning a worthless person according to the slang dictionary. Wow, I just found out that my cyst on my lateral thigh stands for worthlessness. So this interconnects, because also that tested out to be inherited. I forgive myself that I have accepted and allowed myself to resist fear in general. I forgive myself that I have accepted and allowed myself to not want to face all my fears, instead of knowing that I need to forgive all my fears. I forgive myself that I have accepted and allowed myself to make excuses for not taking on all my fears. I forgive myself that I have accepted and allowed myself to fear protrusive behavior of others upon me. I forgive myself that I have accepted and allowed myself to do things alone and not to ask for help when I could use it. I forgive myself that I have accepted and allowed myself to believe I have to be strong and do things on my own. I forgive myself that I have accepted and allowed myself to fear authority. I forgive myself that I have accepted and allowed myself to feel strangled when authority is put upon me. I forgive myself that I have accepted and allowed myself to fear the information that I found by feeling overwhelmed. I like this post. I also have ancestors that were considered witches. One story is from 1645 in Canada. She was interested in a gentleman and kept sticking pins in the head of a doll to make him come back to her for headaches cures. Someone found out about it and turned her in for a witch–the gentleman liked her also and said it was a lie–that he was in love and pretended he had headaches. Whether it was true or not-she escaped being put to death for witchery and they later married. My grandmother also practised a lot of cures in the late 1800’s which they now call “Old Wives Tales”. I have her book of these cures. Similar to Chinese herb cures which calls for roots, herbs and berries. Such a terrible time during the “Witch Hunts” Just women that were smarter than most. Thanks for sharing Nola! A little bit of family history to spice the story up is always interesting. And remember these witch hunting’s are still influencing us today, it’s in the genes as epigenetics, something we have to deal with. Yes, cool Thomas I also prefer the word which and even mistakenly do not use the first ‘h’ at the beginning, which takes me back with 2 feet on the ground when I discover it.